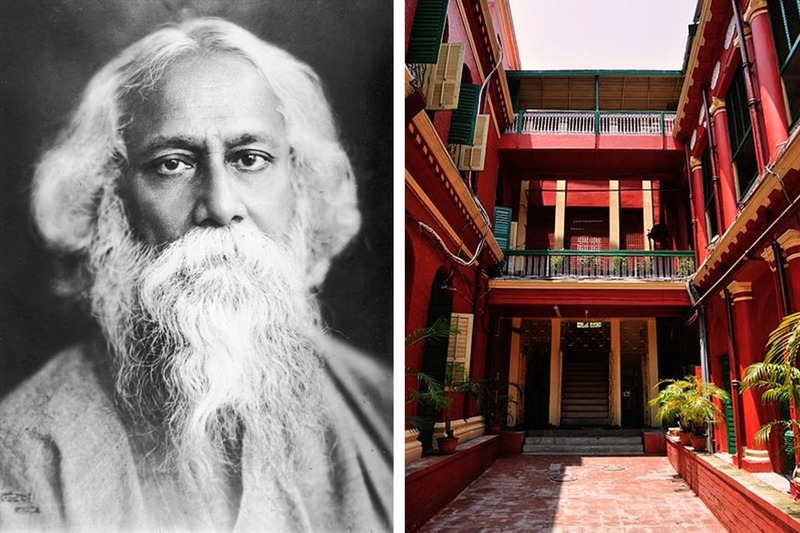 Here are 5 places in Kolkata that you must put on your map if you want to trace Rabindranath Tagore's footsteps. Originally called Albert Hall, the Indian Coffee House was founded in 1876. The likes of eminent personalities like Rabindranath Tagore and Netaji Subhash Chandra Bose have frequented the iconic Coffee House. This place with its humongous high-ceilinged hall has been the breeding ground of several political and cultural movements. Many literary magazines were born during adda sessions that went on forever. The Bangladesh Muktijudhyo and even the Naxalite Movement in the early 1970s had its roots in the Coffee House. And the USP of this place still continues to be the students and intellectuals who occupy the space. Go there and you will see that Coffee House-er adda is still very much alive over their infusion (black coffee), singaras and sandwiches. You’re not really Kolkattan if you haven’t visited the Rabindra Bharati Museum aka the Jorasanko Thakurbari at least once. A pilgrim spot for all Gurudeb-obsessed people, the ancestral home of the Tagores (which is an absolutely stunning piece of architecture) is now a storehouse of memoirs of Rabindranath Tagore. Everything from original paintings, photographs, personal items (including handwritten letters and books), there’s a lot of valuable belongings of Tagore. Walk down to Kumartuli after you’re done for a sneak peak at the work of local artisans. This place is an art gallery and has space outside for hosting a small-sized music or theatre show as well. Many cultural events take place here. This was originally the house of Saumyendranath Tagore, the grand-nephew of Rabindranath Tagore. Right now it is an intimate space for events. Take a break at Shantiniketan, where Rabindranath Tagore once lived, and set up a university. Stay at Ekantika, a cottage is run by a descendant of one of the families who looked after Shantiniketan under Rabindranath Tagore. Read more about it here. Or you could stay at the Garden Bungalow, a zamindari bungalow from 19th century Bengal. There are four suites in this gorgeous bungalow: The Poet’s Recluse, The Painter’s Retreat, The King’s Chambers and the Bahaar Hall. Read more about it here.